Livvi’s Place Casey became a reality at Wednesdays official dig ceremony in Marriott Waters, Lyndhurst. 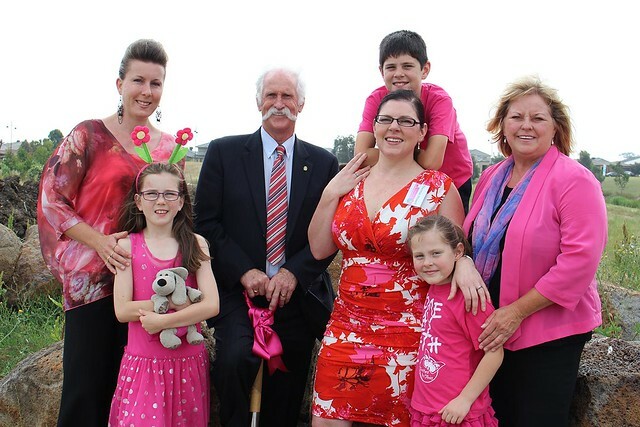 Livvi’s Place Casey will be an Inclusive Playspace built in Marriott Waters, Lyndhurst in partnership with the City of Casey. 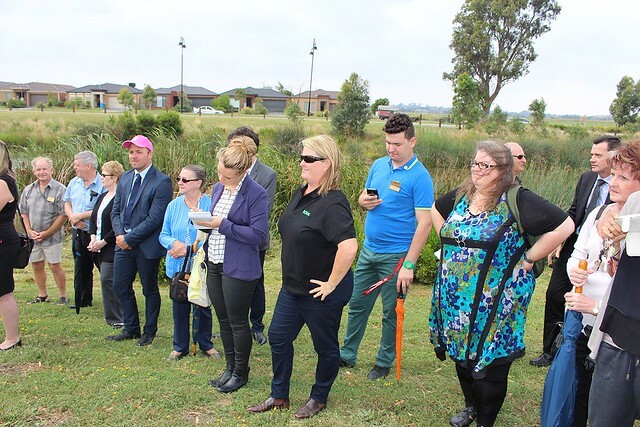 It will be the first Inclusive Playspace in the South East of Victoria and a special place where people of all abilities can play side by side. 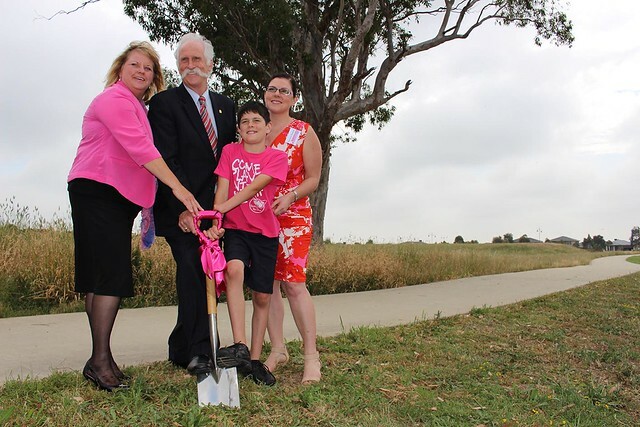 Cr Amanda Stapledon, City of Casey Mayor Cr Mick Morland, Jack and project Champion Therese Howell. Local residents turned up for the beginning of a very special project which will bring children of all abilities side by side in play. To have the freedom to be included in all parts of play. 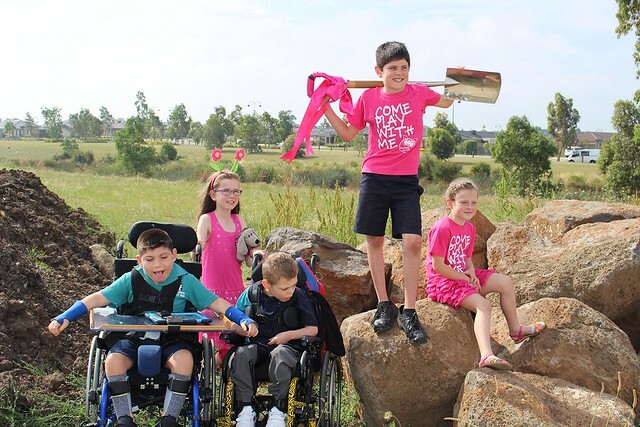 Michelle Jankovic: As a proud volunteer and carer, I have experienced the difficulty in finding an inclusive playspace for my children to play side by side together when they were young. That is why I am so passionate about being a part of this wonderful project lead by Therese Howell. Therese has brought her dream alive and today we see the reality of this magical playspace coming to life. For further information about disability support services, workshop and training, individual disability consultancy or Helping Hand Is Here Disability Product and Service Directory, visit www.helpinghandishere.com.au or Telephone (03) 9017 4649.